Scripts & Codes Consultancy Services is focused on serving the comprehensive needs of businesses in the full range of the information and communication technologies business cycle. With a core staff of experienced professionals and a team approach to most consulting projects, S&C will be able to offer a more balanced quality service than many of its competitors. We offer a list of services for business owners to choose from, depending on their particular business needs. This includes; business and marketing plan preparation, financial search and procurement, IT consulting services, management development, human resources advising, and etc. 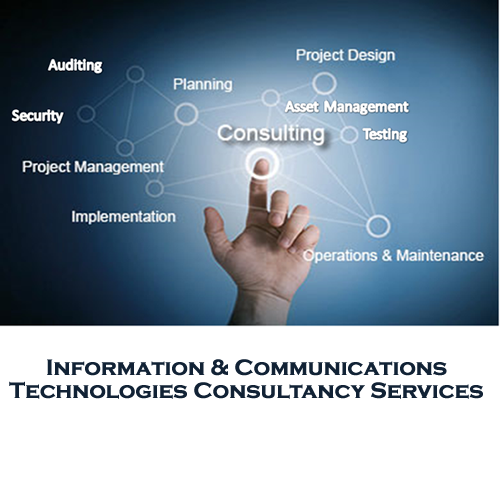 Our services include information-based consulting, integration and management services. Services are designed to increase clients’ operations effectiveness through reduced cost, improved customer service, enhanced quality of current product lines and services, and a more rapid introduction of new products and services. We also offer industry-specific expertise to objectively evaluate, select, develop, implement, and manage information systems, networks, and applications. We oversee a number of practice areas, commonly including: organizational development, process management, information technology, design services, training, and development.